Companies in the Consumer Goods sector have received a lot of coverage today as analysts weigh in on Duluth Holdings Inc (NASDAQ: DLTH), Polaris (NYSE: PII) and Silicon Laboratories (NASDAQ: SLAB). 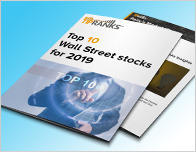 In a report released yesterday, Jim Duffy from Stifel Nicolaus reiterated a Hold rating on Duluth Holdings Inc (NASDAQ: DLTH), with a price target of $19. The company’s shares opened today at $17.61. According to TipRanks.com, Duffy is a 4-star analyst with an average return of 6.4% and a 63.0% success rate. Duffy covers the Consumer Goods sector, focusing on stocks such as Wolverine World Wide, Columbia Sportswear, and G-III Apparel Group. 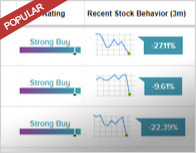 Duluth Holdings Inc has an analyst consensus of Moderate Buy, with a price target consensus of $21.50. In a report released today, Drew Crum from Stifel Nicolaus reiterated a Hold rating on Polaris (NYSE: PII), with a price target of $112. The company’s shares opened today at $113.01. 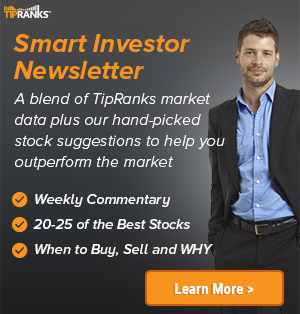 According to TipRanks.com, Crum is a top 100 analyst with an average return of 37.4% and a 89.0% success rate. Crum covers the Consumer Goods sector, focusing on stocks such as Brunswick Corporation, Electronic Arts, and Harley-Davidson. Currently, the analyst consensus on Polaris is Hold and the average price target is $117.71, representing a 4.2% upside. In a report issued on January 22, RBC Capital also upgraded the stock to Hold with a $127 price target. Stifel Nicolaus analyst Tore Svanberg reiterated a Buy rating on Silicon Laboratories (NASDAQ: SLAB) today and set a price target of $110. The company’s shares opened today at $96.20, close to its 52-week high of $100. 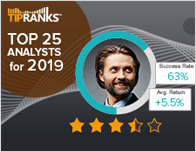 According to TipRanks.com, Svanberg is a top 100 analyst with an average return of 19.3% and a 74.9% success rate. Svanberg covers the Consumer Goods sector, focusing on stocks such as O2Micro International, M/A-Com Technology, and NXP Semiconductors. Currently, the analyst consensus on Silicon Laboratories is Moderate Buy and the average price target is $105.86, representing a 10.0% upside. In a report released today, B.Riley FBR also maintained a Buy rating on the stock with a $115 price target.